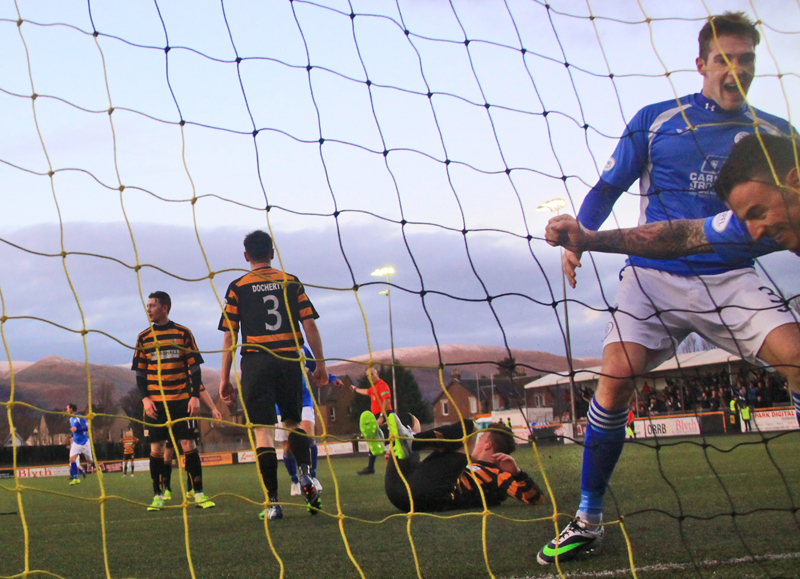 Queens were stung by a second half Alloa strike to deny them a crucial three points in the Championship play-off race. Derek Lyle`s first half goal gave the Palmerston side the slight advantage at the break but Kevin Cawley ensured the Wasps shared the points. Queens travelled to the Indodrill Stadium to close out 2014 against Alloa - the team they played to kick off their Championship campaign back in August - and the Doonhamers would have been happy with a repeat 2-0 victory. It was never going to be easy as Barry Smith`s side had already conquered Hibs and Rangers at home this season. James Fowler was forced in to naming a makeshift back four of Scott Hooper, Lewis Kidd alongside first team regulars Mark Durnan and Kevin Holt. Iain Russell also returned to the side following the 2-1 defeat to Cowdenbeath at Palmerston last weekend. The first chance of the game fell to Ian McShane as he linked up well with the front two of Gavin Reilly and Derek Lyle - the same two players who scored against the Wasps in the reverse fixture. The midfielder made space for himself ten yards out but he blasted his shot just wide of the post. 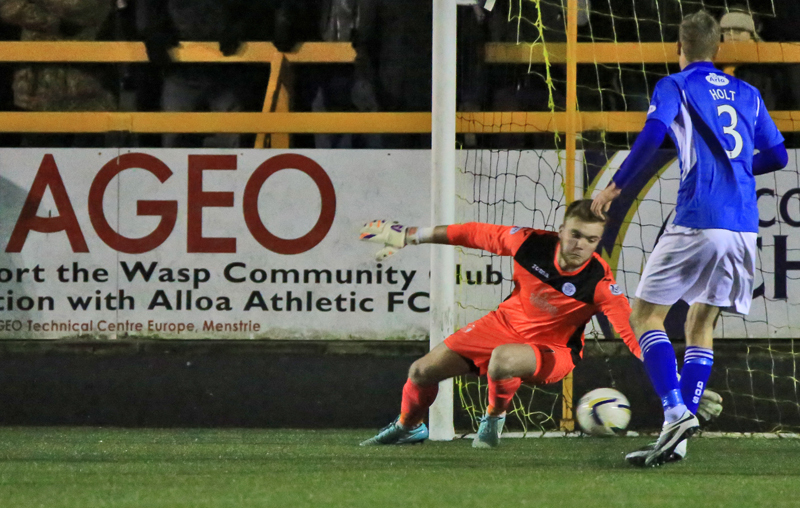 At the other the end, Alloa had a better chance to open the scoring as Liam Buchanan ran through on goal and as he charged toward Zander Clark, the `keeper pulled off a great stop to keep the game level. 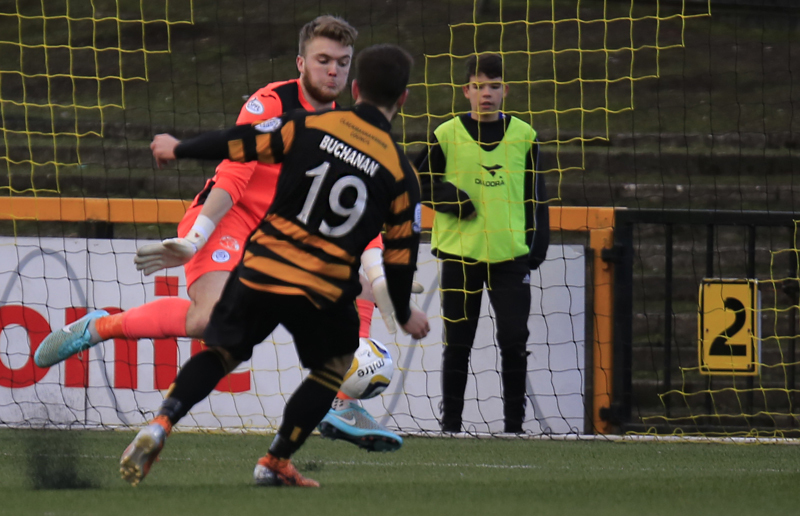 Just after the 15 minute mark, Reilly had a free header six yards out as the forward was left unmarked but he couldn`t divert his effort either side of Craig McDowall in the Wasps` goal. Russell tested McDowall 15 minutes later as he rifled the ball from 25 yards out and the `keeper could only parry the ball behind for a corner. The game was struggling to kick in to life and a moment of magic was needed to separate the two sides. But sometimes you substitute sublime for scrappy and that is exactly what Lyle did as he opened the scoring for Queens. Some neat work by Holt near the byline set up Reilly who headed in to Lyle`s path and the veteran scrambled the ball over the line from close range to give Queens the lead at half time. The second half started with another glorious chance falling to Liam Buchanan. Barry Smith`s side could easily have had two goals from the frontman but his volley from 18 yards whizzed by the post. Alloa almost clawed their way back in to the game through centre back Kyle Benedictus. The defender latched on to a cross at the back post and left Clark stranded as his head cannoned off the post. Once again, it was the hosts who looked more like scoring, this time Kevin Cawley spurned a great chance on the edge of the box. As McCord picked out the winger with a good delivery, it looked as if all Cawley had to do was drill the ball goalward. He failed to test the `keeper but made no mistake with his next chance. 15 minutes from time Cawley latched on to a McCord delivery once again and slotted home past Clark. In truth, it was no more than Barry Smith`s side deserved after a strong second half showing. 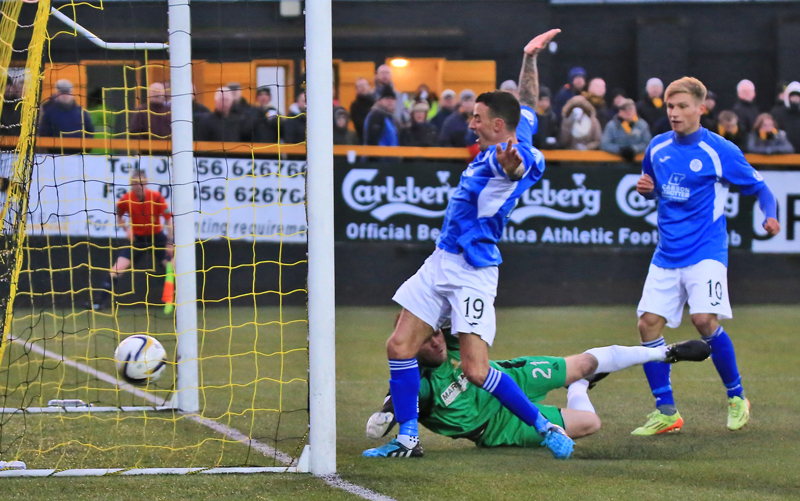 But Alloa weren`t settling for a point and half chances for McCord and Spence in the closing stages could have made it two defeats in a row for Queens. 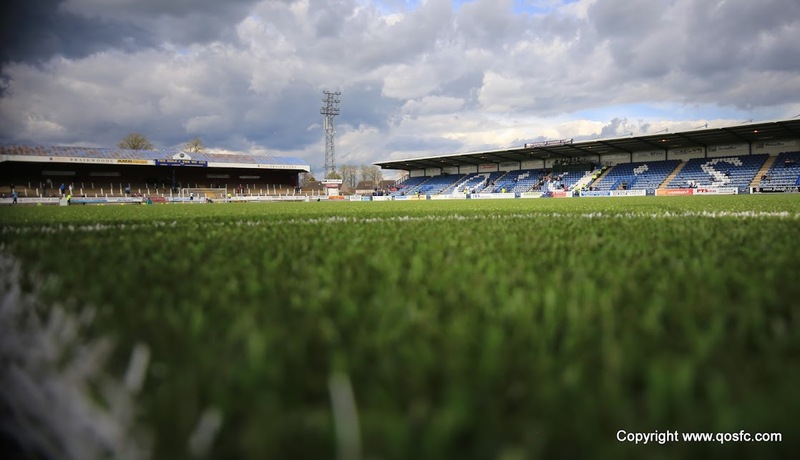 The Doonhamers kick off 2015 at home to Livingston in the hope of maintaining a hold on a play-off spot thanks to Raith`s victory against Falkirk.